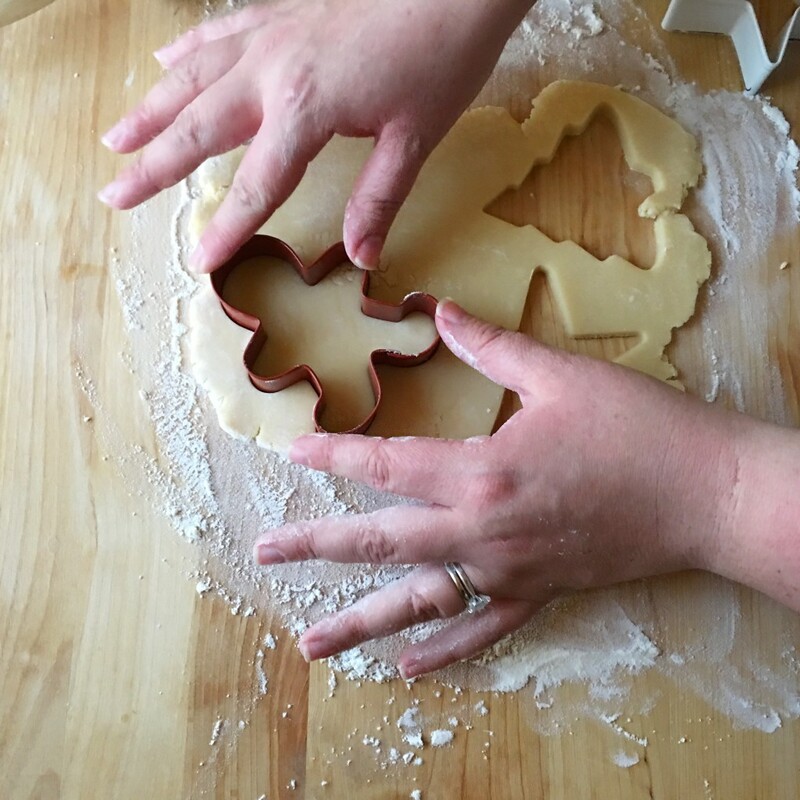 My Mom and I have been making Christmas cookies for as long as I can remember. When I say cookies I mean COOKIES, sugar cookies, peanut butter blossoms, oatmeal cookies dipped in chocolate, rum balls… We used to give them to everyone friends, family,neighbors, teachers, colleagues. 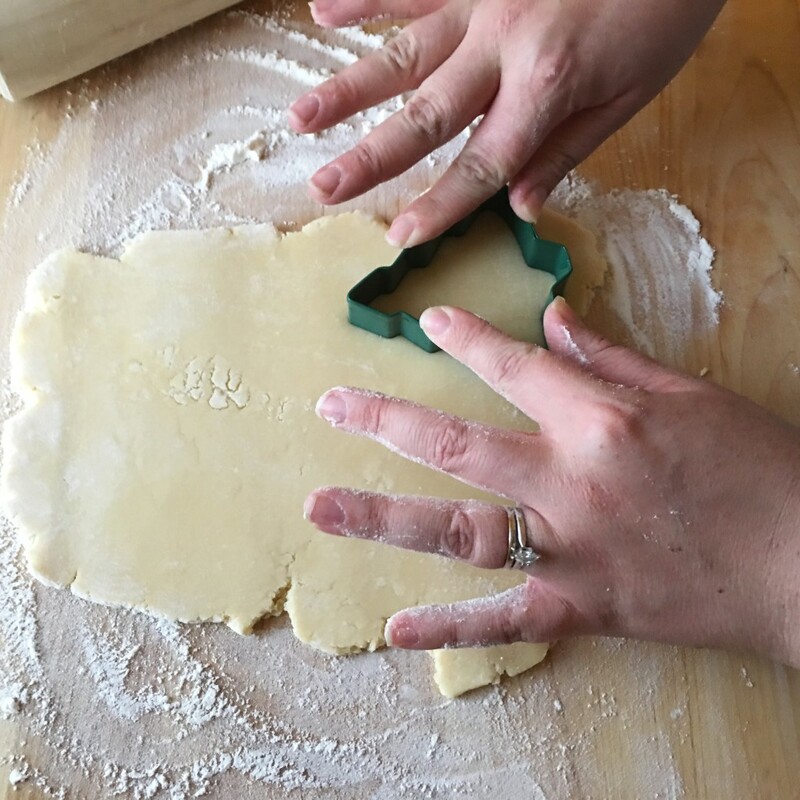 While over the years we have scaled back, we still get together at my parent’s house to decorate sugar cookies, not just any sugar cookies, Mary’s Sugar Cookies (from Betty Crocker). 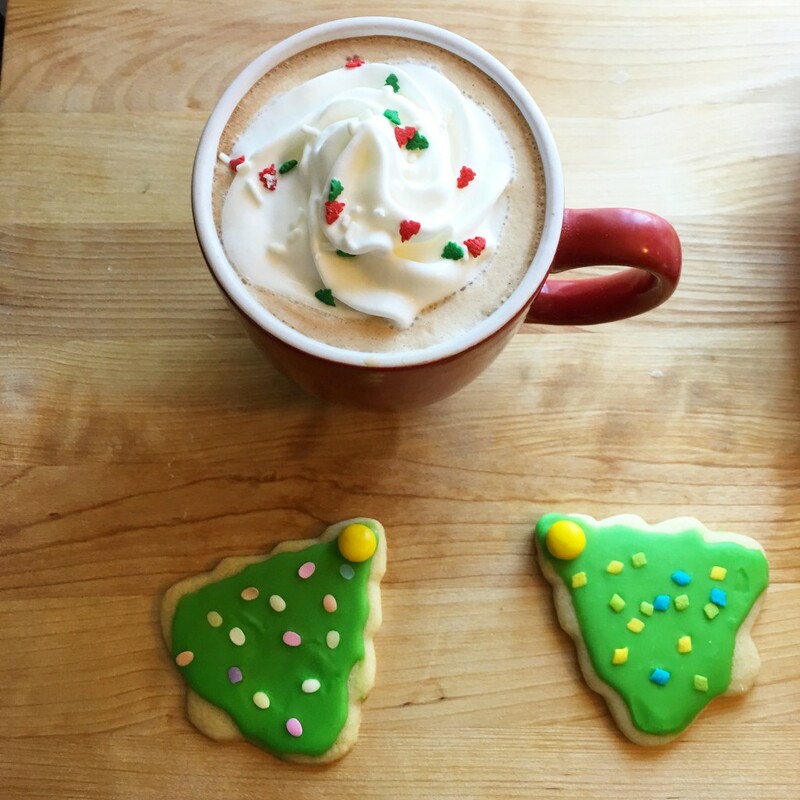 As far as sugar cookies go Mary’s Sugar Cookies can’t be beat. 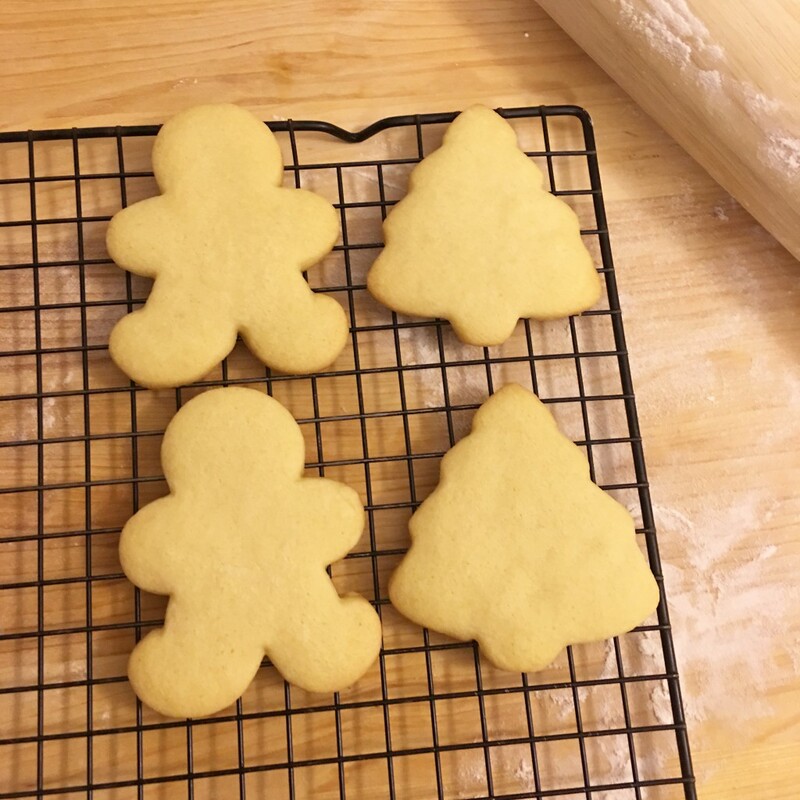 The butter to flour ratio is perfect so the cutouts hold their shape and the hint of almond extract gives them such a great flavor. I tried several other recipes when I first lived on my own and none of them came close to the original! 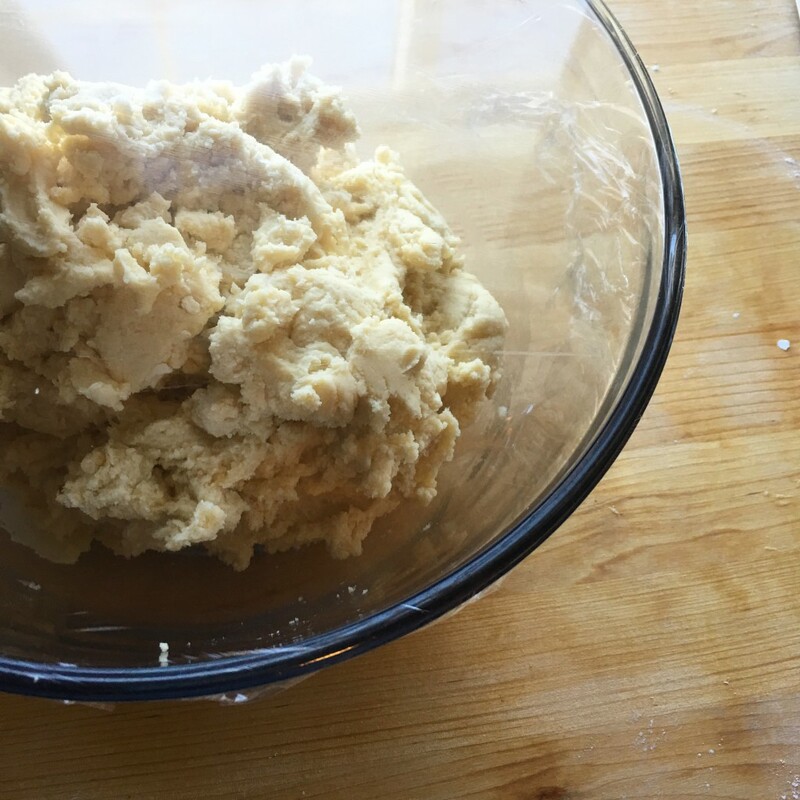 This week I emailed my Mom to make sure I had the right recipe before making a giant batch of dough. I froze half of it and Jordan and I made about 30 Christmas Tree Cookies for Eamon’s class party with the rest of it. 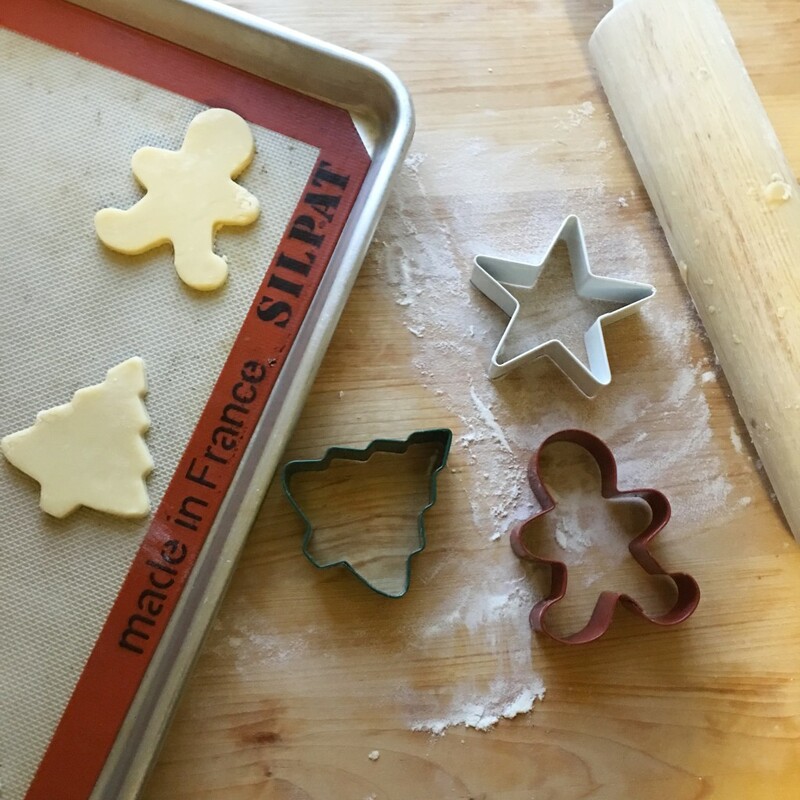 Next week we will be decorating cookies at my mom’s house again and I can’t wait, it’s such a fun tradition and I’m really excited to see the kids start getting into the decorating process! Use a fresh bag of powdered sugar. You’re going use so much for sugar cookies and icing, and it will make a huge difference in flavor and texture. Sift the dry ingredients. 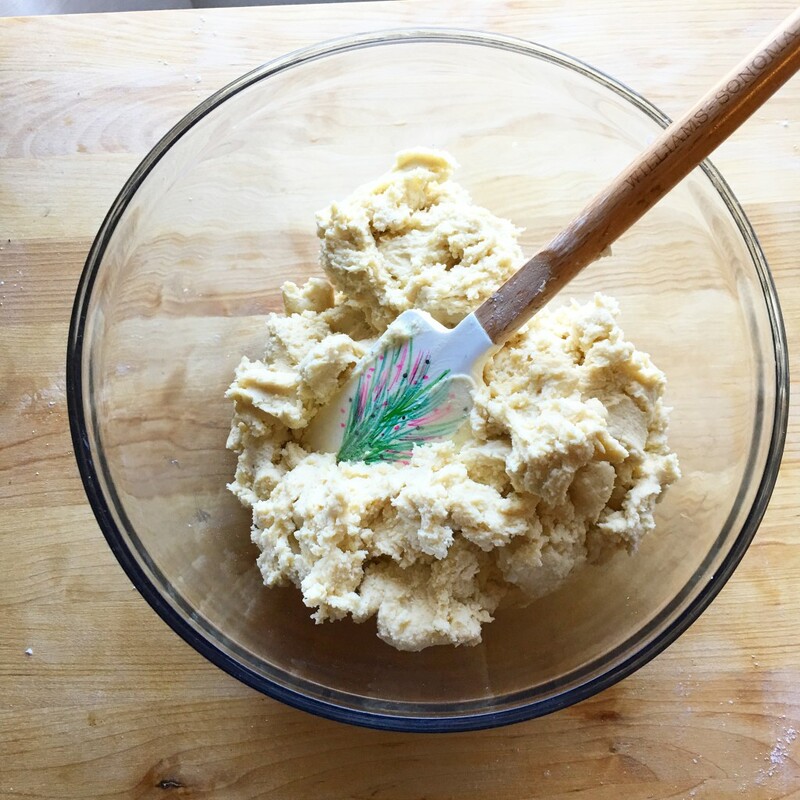 This gives you a really light, soft sugar cookie texture. Soften the butter. I let it sit out at room temperature and then stick the whole bowl of my mixer in a warmed oven until the butter is softened but not melting. This also warms the bowl which keeps the butter from seizing. Don’t over mix the dough. 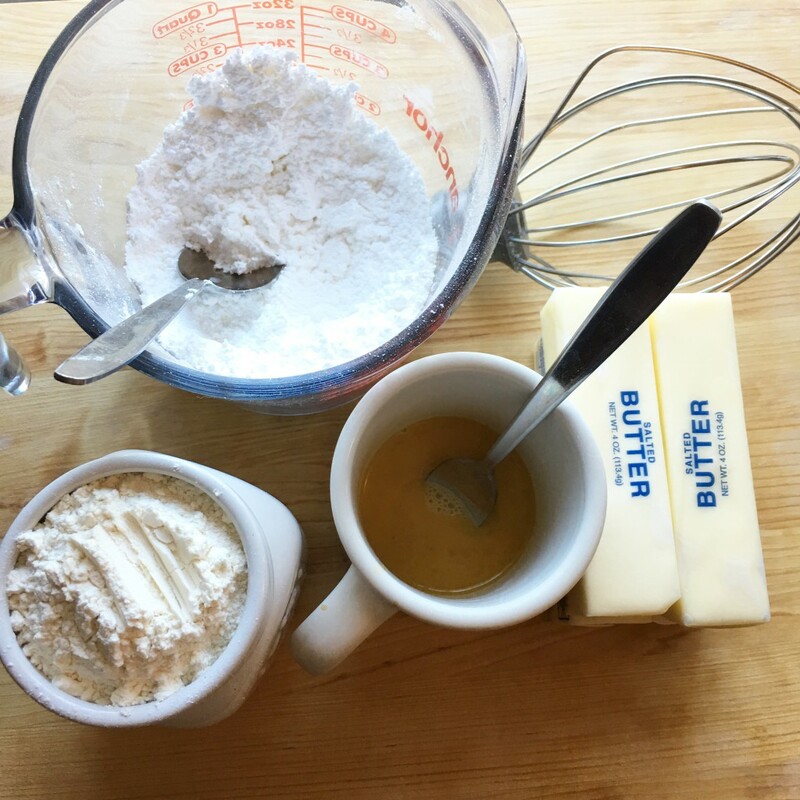 When you add the flour you want to mix the dough until its just moistened and incorporated. Refrigerate the dough for at least two hours before attempting to roll it out. You can also keep it in the refrigerator for several days or the freezer for up to three months. If you do want to freeze the dough I recommend freezing pre flattened disks in a plastic freezer bag just like the prefect pie crust it makes rolling it out a lot easier. 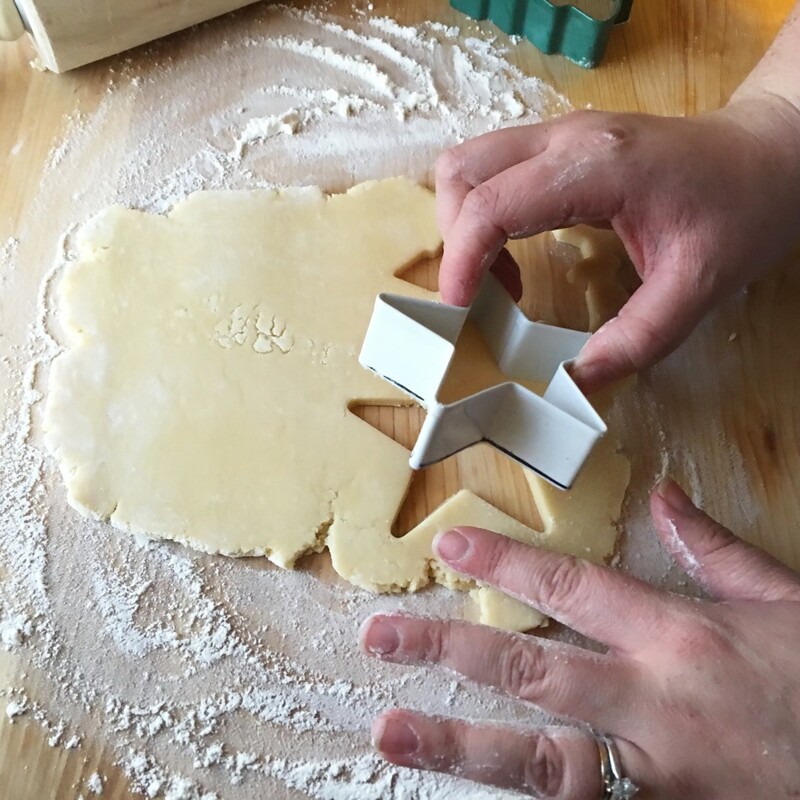 Roll the dough out 1/4″, its the sweet spot for cookie cutouts. They will retain their shape and you will get lightly golden brown cookies that are nice and soft. If the dough starts to get sticky put it back in the refrigerator for about ten minutes. Bake them on parchment paper or a silicone baking mat to keep the bottoms from getting overcooked. This recipe can be halved or even quartered (use just an egg yolk) but I like doing a big batch and putting half in the freezer. 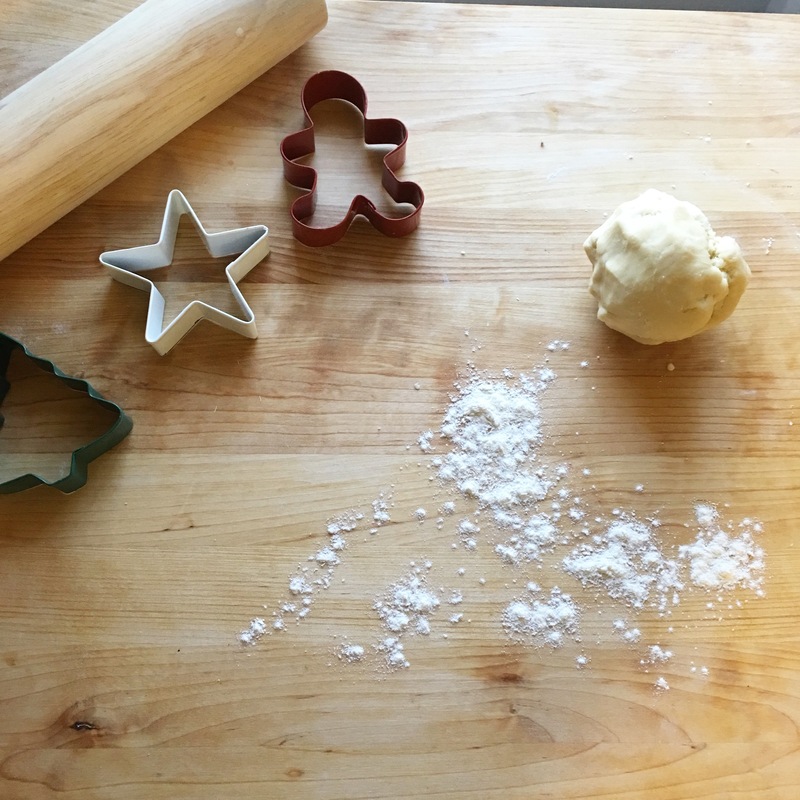 I hope everyone is enjoying getting ready for the Holidays, I will back tomorrow with tips for decorating sugar cookies from picking colors to the icing recipe we use!